Urban loft meets rustic Tuscan retreat. Working with a top designer, who happens to be a cousin and frequent collaborator of starchitect Richard Rogers, La Bandita’s owners have stayed true to the light-filled 500-year-old building’s beautiful bones. 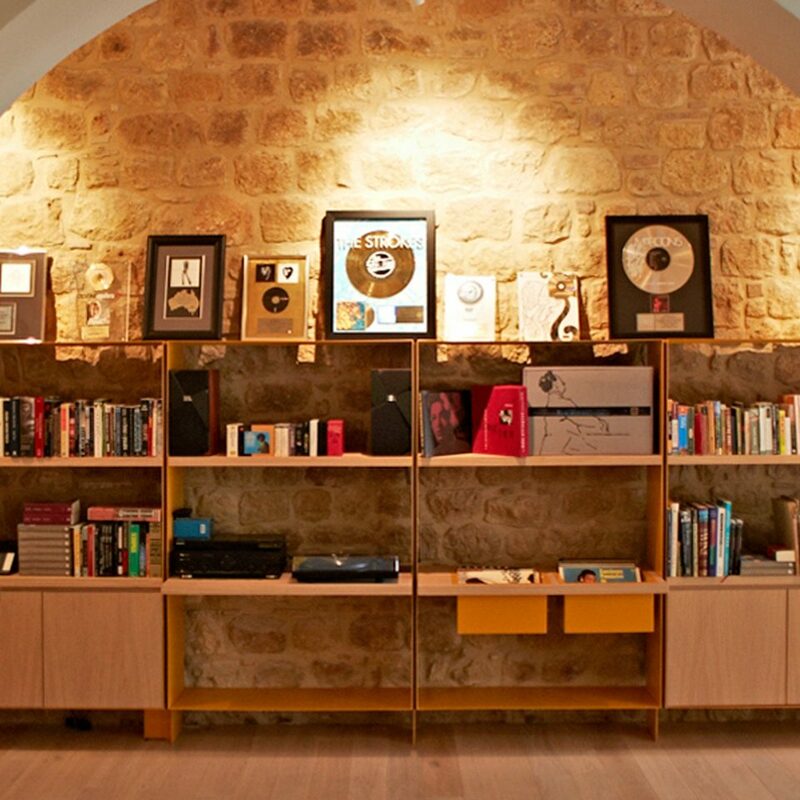 There are rough-hewn stone walls, beam ceilings and grand archways everywhere you look. Into this structure they’ve inserted their own industrial-chic downtown aesthetic, employing vintage mirrors, maps, leather club chairs and metal stools and seats from a famed antiques warehouse in Florence, custom-designing mod bookshelves and cabinetry, and staining wood floors and ceilings in light shades of gray to pull it all together. In keeping with the rest of the hotel’s modern-meets-ancient aesthetic, the dozen guestrooms are spread across three floors and all differ in size and shape. 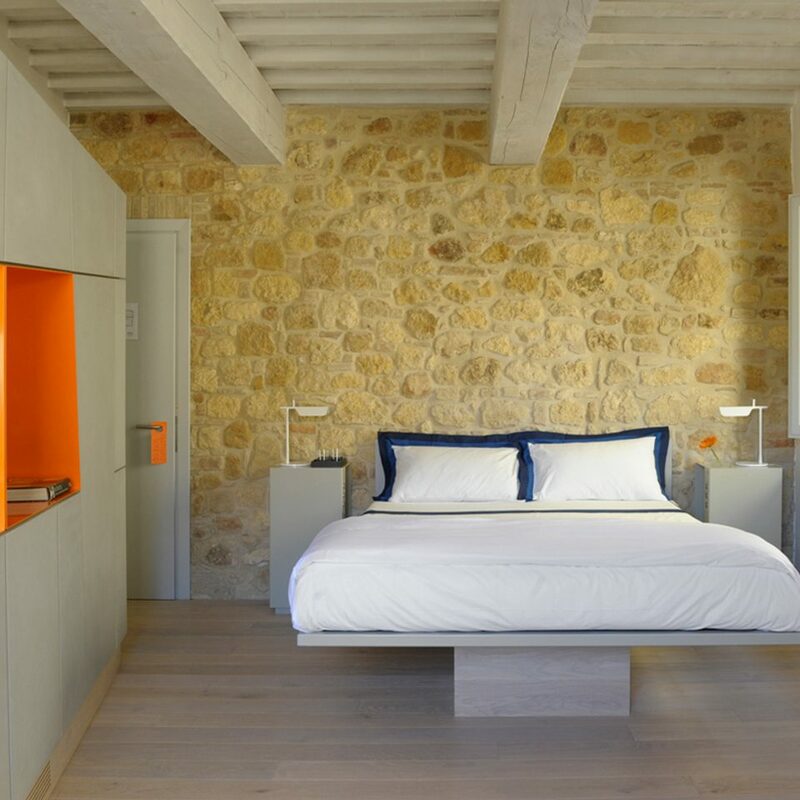 The furnishings are largely consistent, however: Large custom-made platform beds covered with crisp white linens, convertible sofabeds and mod orange-and-gray cabinetry stand out against the neutral palette of exposed stone, white walls and gray-washed wooden floors and ceilings. 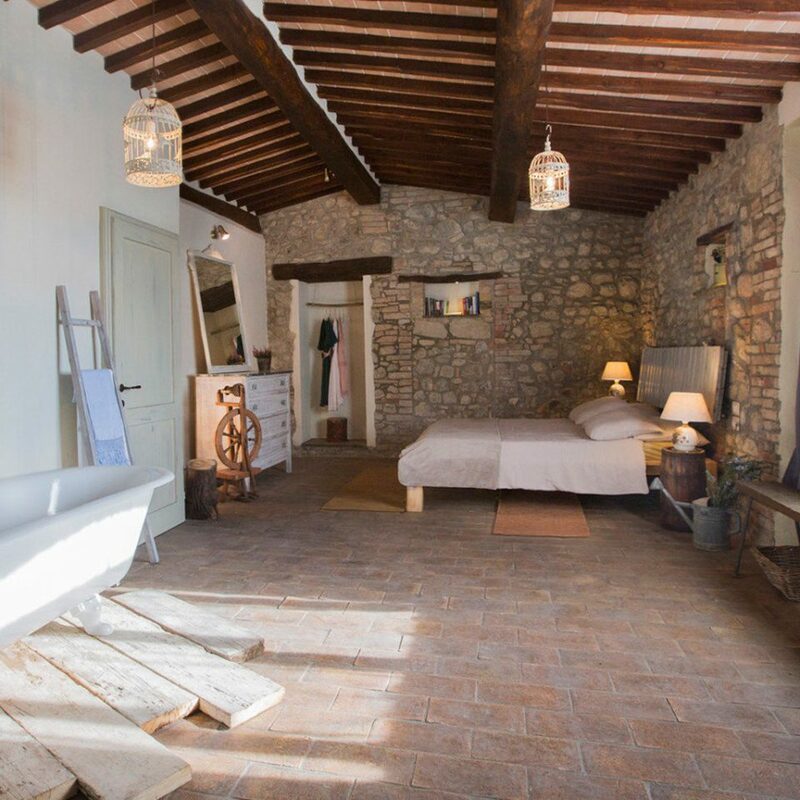 About half of the ample bathrooms, all done in crisply contemporary white and gray and outfitted with subtly fragranced products from Ortiga Sicilia Home, have both a tub and a shower; in some rooms, in fact, the soaking tub is, rather decadently, right in the bedroom. On the ground floor, down a barrel-vaulted, stone-walled hallway, the Townhouse Café serves breakfast, dinner and drinks daily, and lunch every day except Monday and Tuesday. 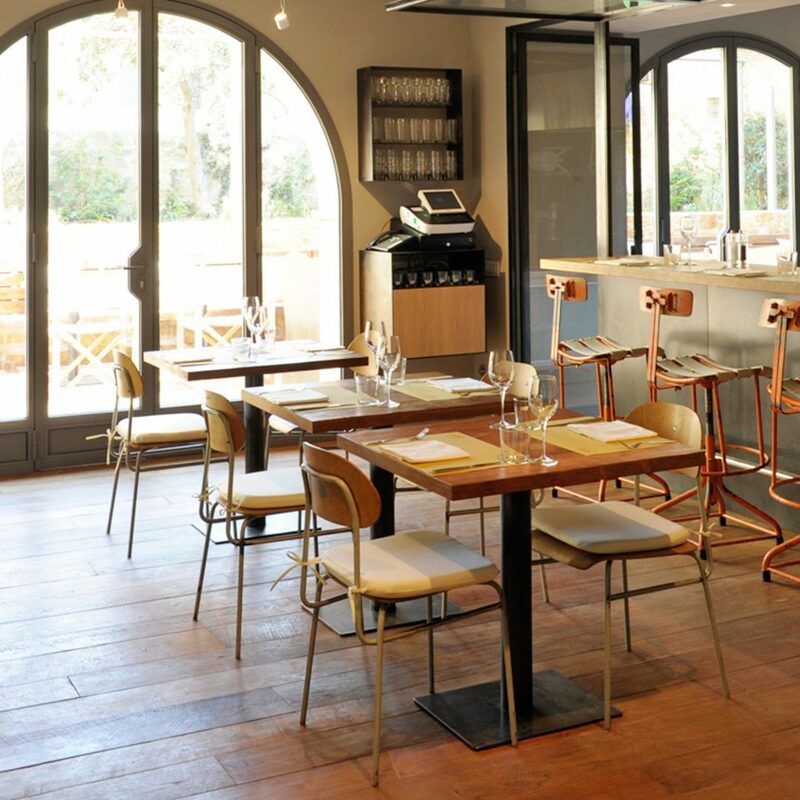 The restaurant’s maroon subway-tiled kitchen, vintage furnishings and large arched French doors create a convivial atmosphere that nicely matches the seasonal, local, casual food it serves. Beyond the restaurant there’s a patio with table seating and, a few steps up from that, a grassy little walled garden bordered by herbs, shrubs, flowers and small trees. Back inside and on the second floor, a guests-only library and bar stocks a collection of books both academic and amusing, and serves small snacks at cocktail hour. A turntable with vintage vinyl provides the tunes (the American owner was once a record company exec who accompanied the likes of the Strokes on tour). 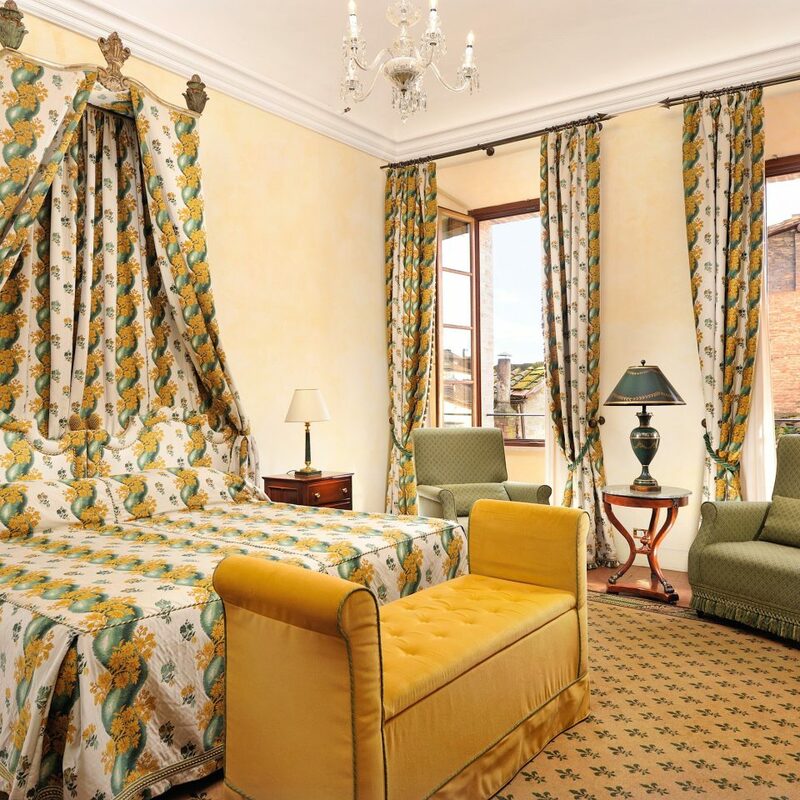 The hotel has a prime location in Pienza. You’re a few short blocks from the piazza, with its grand church and tiny coffee bar, and artisanal and specialty food shops line the streets in every direction. The best store for the region’s pecorino cheese and fennel sausage is Marusco e Maria, while a great wine selection can be found just around the corner at Enoteca di Ghino. 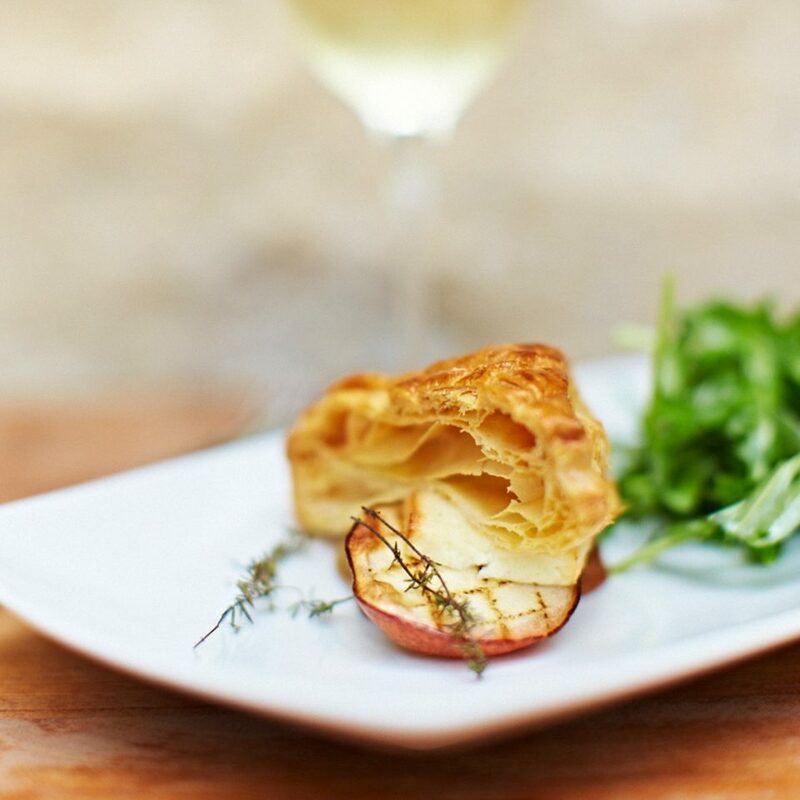 Top restaurants include Sette Divino and Latte di Luna. 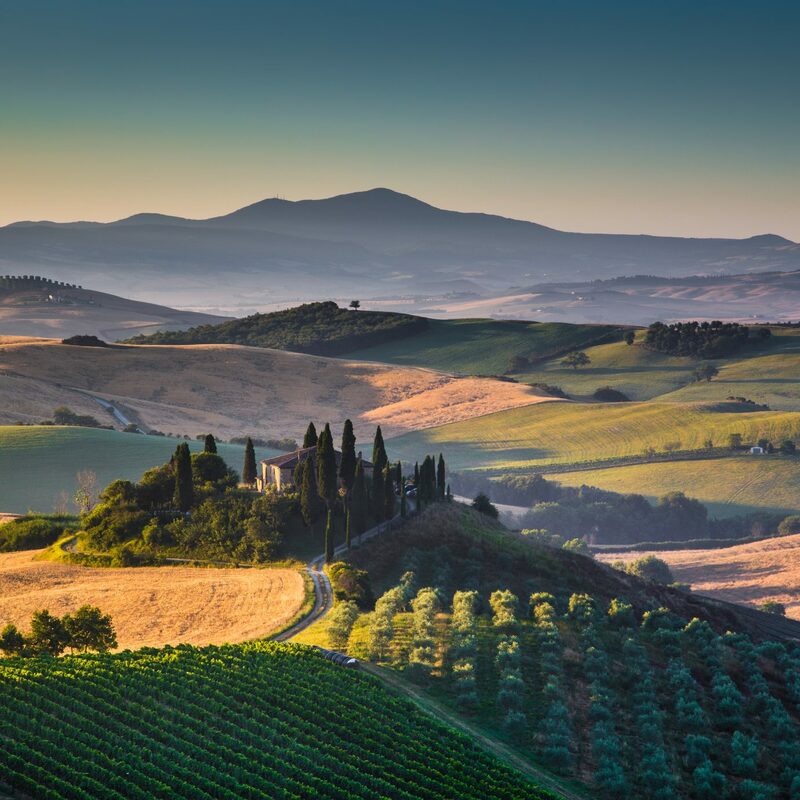 Beyond Pienza, the rolling hills, medieval hilltop towns and exquisite wineries of southern Tuscany’s UNESCO-protected Val d’Orcia await. 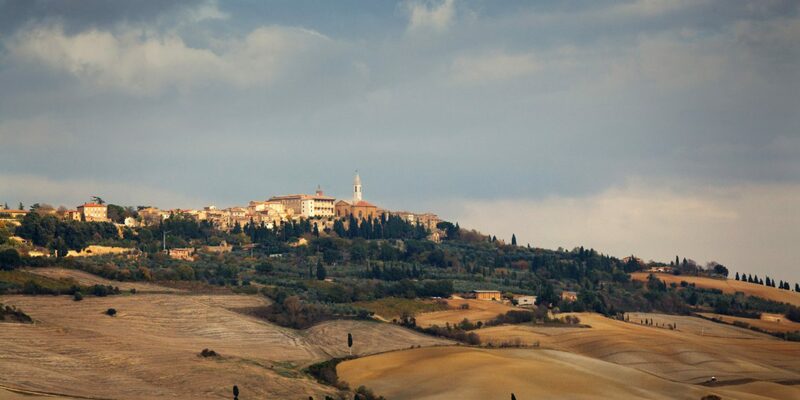 And it’s not far from Tuscany’s northern reaches, either: Sienna and Cortona are all less than an hour away. San Gimignano and Florence are about 90 minutes. Our stay at La Bandita Townhouse could not have been better. From an evening sipping wine in the "Very Relaxing Room" to comfortable beds in a very spacious room and yummy breakfast every morning, all the details were perfect. The staff was exceptional -- they helped us every step of the way -- from parking on arrival to helping us with reservations at restaurants, spas, and nearby attractions. Everyone was so friendly, kind, and welcoming. 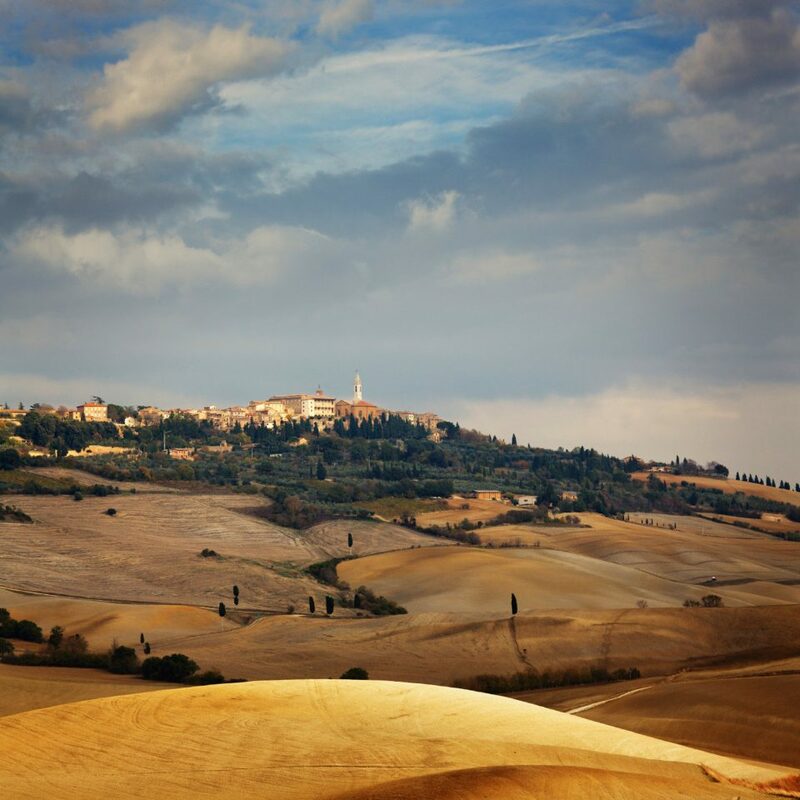 We truly loved our experience at the hotel and Pienza is a spectacular place in and of itself. 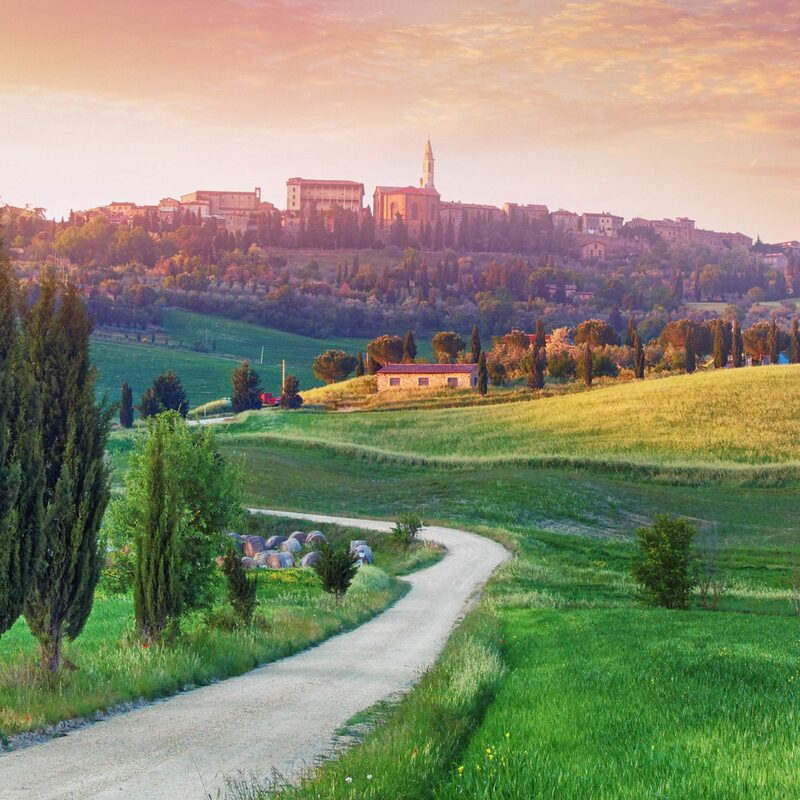 I highly recommend the suggested hike they outline in the in-room guidebook provided by the hotel -- it is a serene long walk through the Tuscan countryside that was one of the highlights of my trip. This was our 1st time to Tuscany. Because we went in mid-March a lot of the farm house type B & B,s were closed for "winter". They tend to open late March. That is how we found La Bandita. It is centrally located for short day trips to San Gimignano and Siena (two must see towns in Tuscany!) I would include Pienza on the same must see towns in the area. 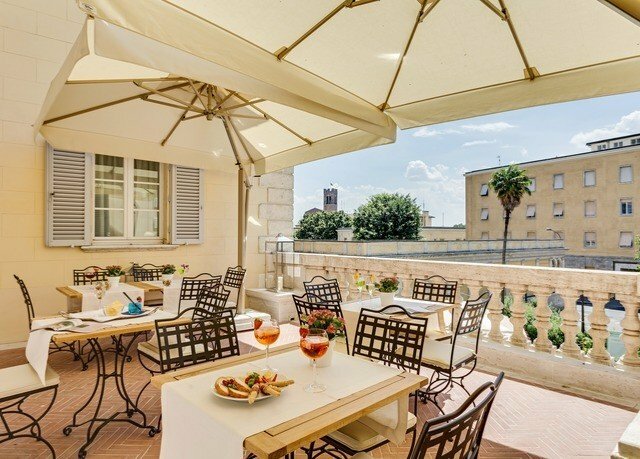 The quite, quaint hotel which was a nunnery back in the day has been remodeled to a modern, clean hotel perfect for resting, dining and feeling a part of the small, Tuscan town vibe. The staff was exceptional! I can not say enough positive things about them! They went above and beyond to help us with maps, parking, restaurant recommendation in other towns, E- Bike hook ups, and anything we needed help with. The town of Pienza is were the classic 1968 Romeo and Juliet was filmed. 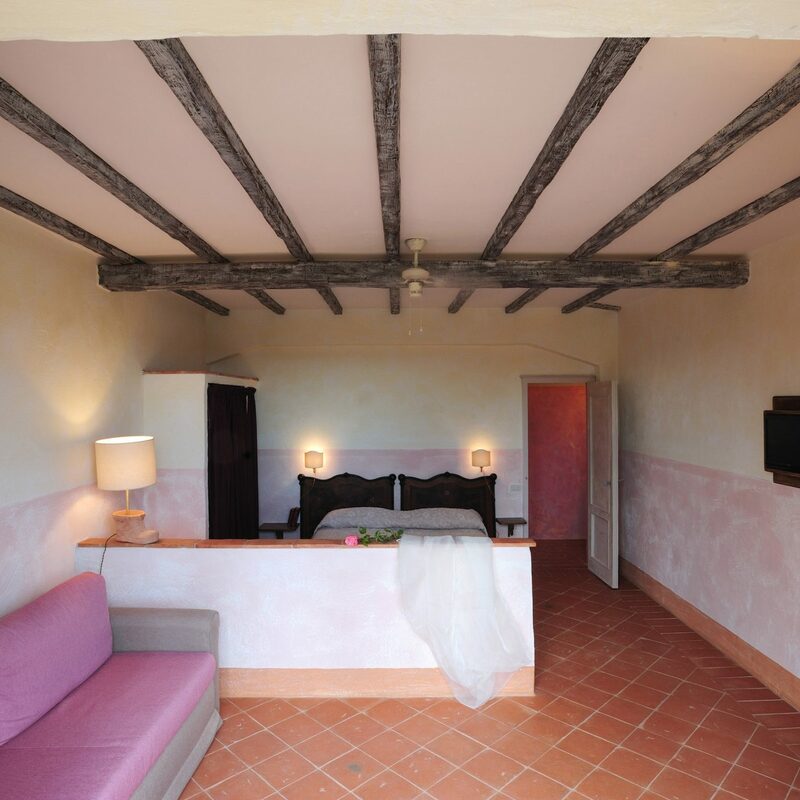 It is charming and I would definitely chose to go back and stay at La Bandita again. So impressed with this hotel. Cannot wait to return! I travel a lot and have high hopes for hotels. La Bandita Townhouse blew us away with its style, luxurious details, food, location and staff. I never expected that there'd be such a cutting edge boutique hotel RIGHT on the main street in this postcard perfect town. Pienza could not be better. It was the right size with enough to see, shop and eat right outside your door but also being located only 20 minutes from some other incredible towns, farms and vineyards. The countryside around here is exceptional too. No wonder the Val D'Orcia. Our junior suite was exquisite. We had our own separate lounge space with a lovely Romeo & Juliet balcony, as well as oversized bedroom with a giant soaking tub and high lofted ceilings. I particularly loved the windows that opened up out onto the local street below. The bathrooms were modern with a wonderful rain shower. Mini bar was restocked daily and all complimentary, as well as the coffee for the illy coffeemaker. We were traveling with our infant daughter, so the extra room was wonderful and where we kept her travel crib--which they provided. Daily breakfast was a delight. Chef David will make anything to order, but you might not need it with the fresh spread they lay out. Pastries, local yogurt, fresh fruits, a variety of cheeses and meats, fresh squeezed orange juice... this is making my hungry. However, don't miss the dinners here. 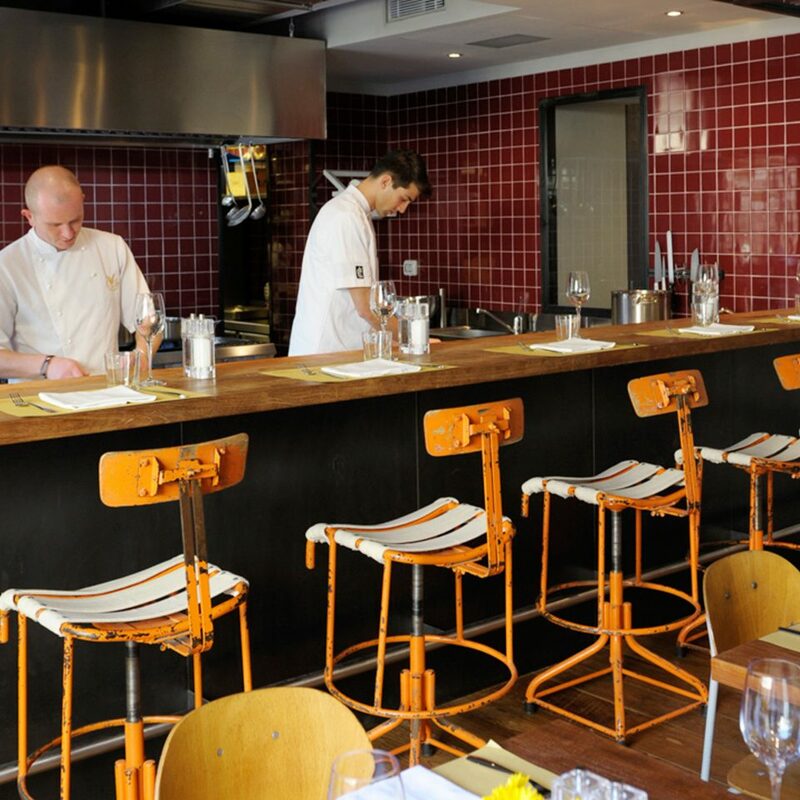 It is probably the best restaurant in the area and books up so be sure to check it out (and order the burrata for me). I had a massage onsite in their relaxation room which was excellent. Lucia is very skilled and the candle lit environment was very soothing. We really enjoyed the lounge space with a communal honor bar. It was bright and comfortable, with large windows, lots of books/travel guides available to borrow and a record player which we used often. And lastly, the staff was so helpful, always happy to make suggestions or call for reservations at nearby restaurants. We left most of the dinners up to them and were very pleased every night. I would definitely recommend this hotel to couples and families. We cannot wait to go back and bring more of our friends and family too. 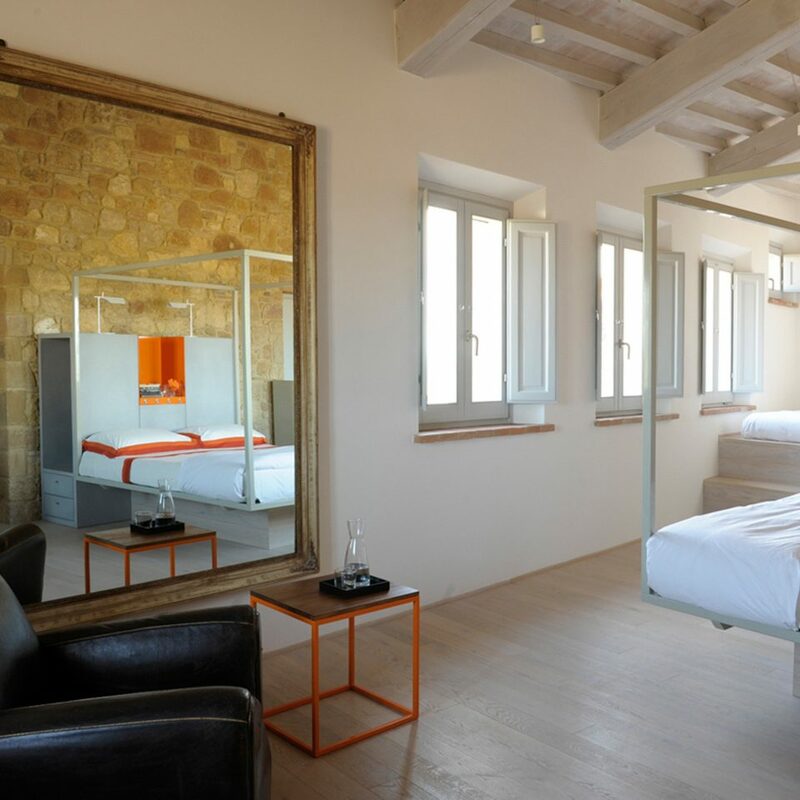 Fab boutique hotel in the centre of Pienza. Couldn't fault anything about it during our stay of 3 nights. 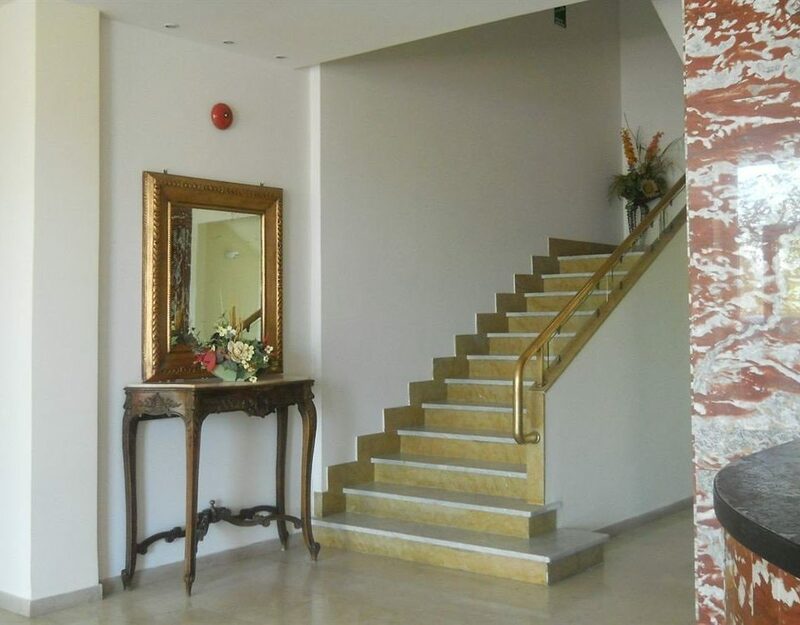 Lovely room and amenities, restaurant excellent, staff all helpful and friendly. 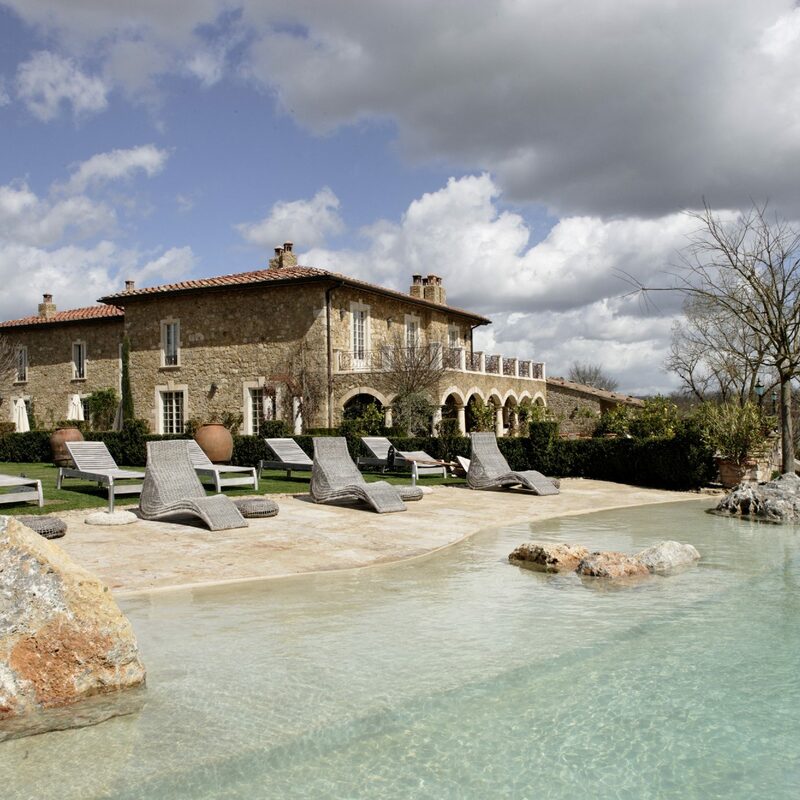 Pienza is a stunning hilltop town and La Bandita Townhouse is the perfect place to stay. We will definitely return.